Contact us to learn more about how we've been serving Oklahoma since 1927! When you need a vehicle towed, Puckett’s Inc. is on the job. Our capabilities include towing for all light- and medium-duty vehicles, towing for law enforcement, impound towing, wrecker services and more! Let our well-equipped fleet and team of seasoned professionals provide you with superior customer service. We are fully licensed and insured, so you can rest knowing your vehicle is in good hands. Our fleet includes both rollback and wheel-lift towing vehicles, allowing us to properly and safely transport virtually any light- or medium-duty vehicle. When the time comes for a tow, there’s only one towing company in Oklahoma City, OK that’s been delivering top-tier service for nearly a century—Puckett’s Inc. Whether you’ve got a sidelined vehicle that’s not roadworthy, need wrecker service after an accident, need a vehicle impounded or are just locked out of your car, give us a call for service you can count on.  We’ll quickly come to you, 24/7, and make sure your vehicle is handled with the utmost care and integrity. Our fleet not only includes rollback vehicles, wheel-lift vehicles and auto wreckers in Oklahoma City, OK capable of towing light- and medium-duty towing, but also a staff of well-trained professionals who take pride in what they do. 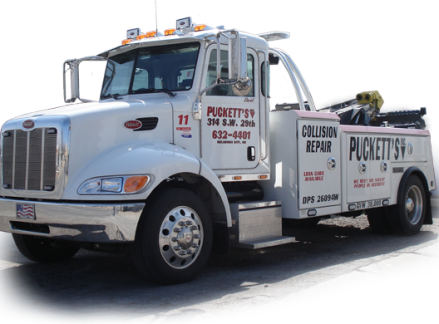 From immobilized vehicles to impound situations, Puckett’s Inc. is ready to answer the call for towing. Contact us with the confidence every vehicle will be properly handled by our team. What sets us apart is our wide range of experience and thorough skillset in the towing field. We’re on rotation for a number of local law enforcement agencies, assisting with everything from meter tows to repossession impounding and more. We can also tow fleet vehicles and offer commercial towing that ensures your vehicles are handled with integrity when they’re stranded on the side of the road. Regardless of the situation, the vehicle, or the expectation, we promise to meet and exceed your needs, upholding a reputation we’ve been proud to stand behind since 1927. Call us for a tow and let us minimize the headaches that come with an immobilized vehicle. Our business has been family-owned and -operated at the same location since 1927! We’re a staple within our community and take pride in our longevity. We work with law enforcement to resolve towing issues involving incapacitated vehicles, while also offering commercial and general towing upon request. Our business is affiliated with the Better Business Bureau (BBB), the U.S. Chamber of Commerce and the Oklahoma Wrecker Owners Association. We carry our Oklahoma DPS Wrecker License and are a Class AA towing professional, licensed to tow via owner request or law enforcement mandate.